Idaho ranks first as the most entrepreneurial state in the country and ranks an impressive second with access to funding for businesses. With many fast-developing areas, the state of Idaho provides a fantastic customer base for those who want to start a new business there. 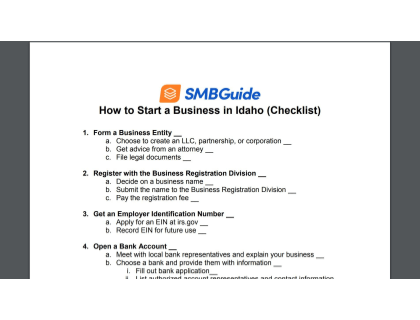 Download our How to Start a Business in Idaho checklist in PDF format. A sole proprietorship is the simplest structure and usually involves one individual who is solely responsible for the enterprise, a partnership is suitable for businesses with two or more owners, a corporation is a standalone entity with shareholders, and a Limited Liability Company (LLC) is a hybrid form of partnership as it allows the owners to benefit from both the corporation and partnership structure of business. LLCs are regulated by Idaho state laws and must be registered by filing the Articles of Organization with the Idaho Secretary of State. LLCs in Idaho cost $100 to file. The traditional plan is very detailed, takes more time to write and is quite comprehensive while the lean startup plan is high-level focus, fast to write and only contains key elements. A strong business plan can help you to get funding and make the process of opening a new business easier. You can contact the Idaho Small Business Development Center for free consulting on starting your new business in Idaho. They primarily coach new business owners regarding their business plan and financing. A small business bank account is a necessity when you are starting a business. Your business finances must be kept totally separate from your personal ones in order to maintain accurate records. With a business bank account, you can easily obtain statements and access products that would not be available to you as an individual. 4. Seek startup capital and/or loans. If you are unable to fund your new business on your own, you will need to take out a loan. You can get funding for your business in three common ways: commercial loans, business lines of credit and small business loans. A popular organization that can assist you with small business loans in Idaho is Capital Matrix. The business name should reflect your business brand and capture your spirit. Make a list of the names you like and perform a Google search to find any conflicts with other Idaho business names. Once this is done, you will need to do a trademark search to ensure the business name you chose has not already been trademarked. You can perform the trademark search at the U.S. Patent and Trademark Office and the Trademark Electronic Search System. These databases have a comprehensive list of business names that are registered together with their classification. After you have confirmed that your business name is not trademarked, you need to check the Idaho Secretary of State website to ensure your business name is not the same or similar to another corporation registered in Idaho. If you are satisfied that your business name is available you can then register it on the U.S. Patent and Trademark Office website. Once you have found a suitable name make sure to register the matching web domain and social media handles should you wish to market your business online. Every business needs to have an Employer Identification Number (EIN). Registering for an EIN is very easy - all you need to do is go to the IRS website. You can complete the application online and save your EIN confirmation notice once you receive a number from the IRS. The state of Idaho does not require all businesses to have a business license. You can use the Idaho Business Wizard to check if your business requires any licenses or permits. Some cities in Idaho require businesses to have a city business license. You will need to check if you require one in your city clerk’s office. If your business is located outside the city you will need to check with the county clerk’s office. If you are selling any products and/or offering specific types of services, you will require an Idaho Sales and Use tax permit from the Idaho State Tax Commission. You can get more information here. If your business plan included the addition of new employees to your business, it is time to start the hiring process. Compliance with labor laws in Idaho will ensure that your employees are treated appropriately at your business and their rights as employees are protected. With reference to the pre-employment screening process in Idaho, an employer is entitled to view a job applicant’s criminal history and obtain the relevant records from the criminal justice system. Job offers to prospective candidates cannot be conditioned based on the applicant's consumer credit report and other credit information. It is important to classify your staff as either an employee or an independent contractor for tax purposes. Failure to classify staff correctly will have legal repercussions. You can refer to the Idaho Department of Labor for more information. 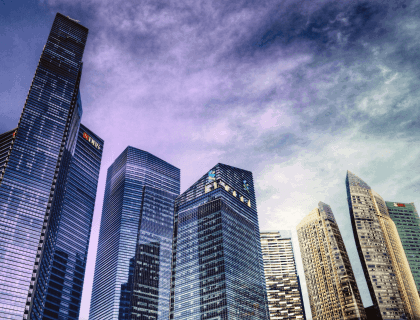 Business employer requirements are specific to the type of business that you are starting and include various labor, safety and tax obligations that need to be met. You should consider engaging in the services of a tax or business attorney to ensure your business is fully compliant with the laws in Idaho. The Idaho Industrial Commission administers the Workers’ Compensation Act. It requires any employer in Idaho to provide workers’ compensation coverage to employees working in Idaho. These employees can either be full-time, part-time, seasonal or occasional unless specifically exempt by law. Health insurance isn’t a requirement for small businesses in Idaho. The Idaho Business Wizard is a free service offered to anyone seeking to start a small business in Idaho and is maintained by the Idaho Small Business Development Center. You can use the Idaho Business Wizard to guide you along your journey of starting a business in Idaho. The Idaho unemployment insurance program is designed to provide temporary economic benefits to eligible workers. You can register online as a new business with the Idaho Department of Labor and will receive your unemployment insurance account number within 10 days of your application. Every individual or entity engaging in business as a seller of tangible personal property or specific services in the state of Idaho must apply to the Idaho State Tax Commission for a permit. How much does it cost to start a business in Idaho? The Idaho LLC articles of incorporation cost $100.00 while an Idaho Corporation costs anywhere from $30.00 to $100.00. You can view a comprehensive list of prices here. How do I register a business in Idaho? You can register your business with the Idaho Secretary of State directly or get assistance from the Idaho Business Wizard. 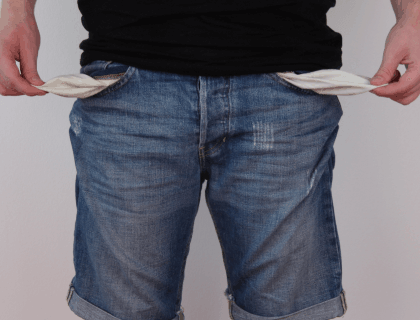 How do I start a business in Idaho with no money? How can I protect the name and logo of my business in Idaho? The easiest way is to register your business name on the U.S. Patent and Trademark Office website. Prior to registration, remember to check on the Trademark Electronic Search System and Idaho Secretary of State databases to ensure that your business name is not already registered by another company. Do I need workers' compensation for my new business in Idaho? Any employer in Idaho is compelled to provide workers’ compensation coverage to all types of employees unless an employee’s status is specifically exempt by law. Does my business in Idaho need to contribute to health insurance?